dotUP to help end breast and ovarian cancers! We all have a superpower. In any given situation, we can choose to positively impact our own lives and the lives of others. And, when we do this collectively, amazing things happen. Choose positivity, agency, and community. Two years ago dotUP Founder Tim Fates lost his mother to breast cancer. The dotUP PINK campaign raises money and awareness for breast and ovarian cancers. 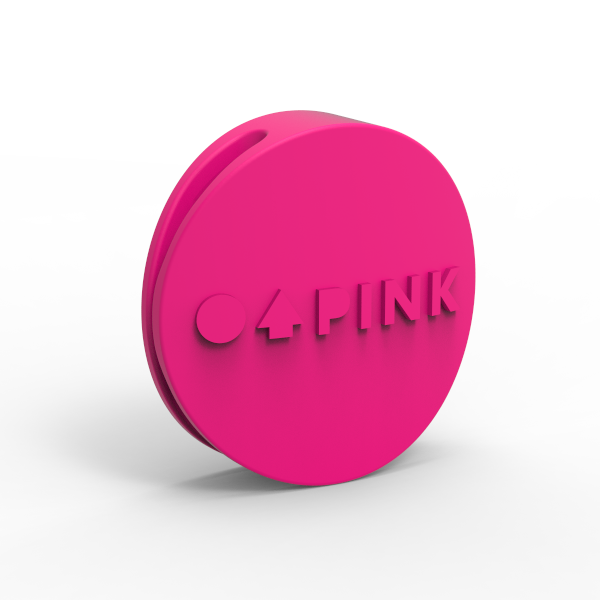 All profits from sales of PINK dots support Bright Pink, the only national non-profit focused on the prevention and early detection of breast and ovarian cancers in young women. 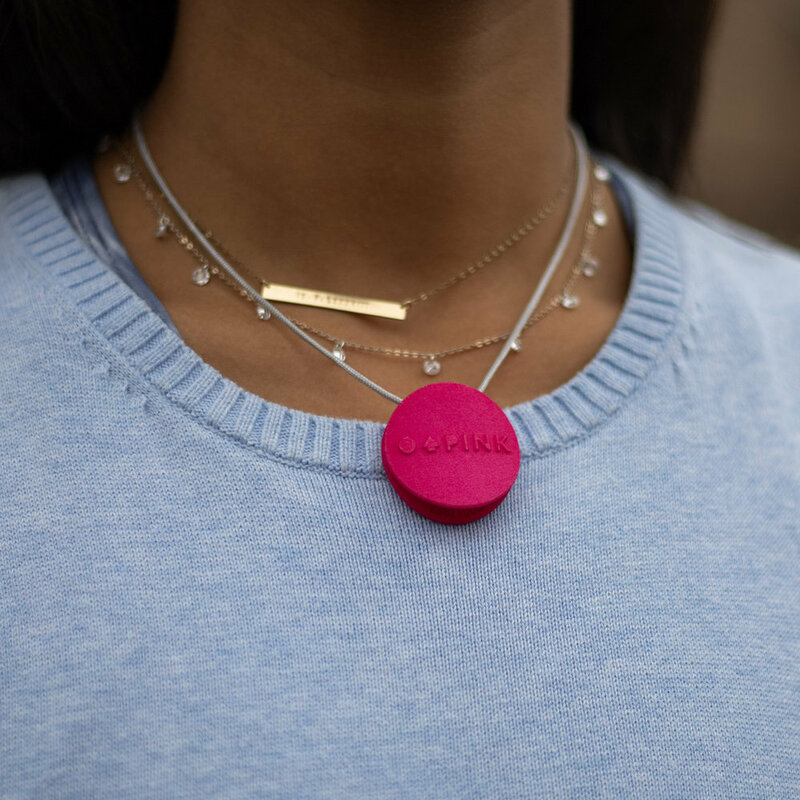 dots are exciting new wearable accessories for fundraising and awareness. The vibrant presence of a colorful dot catches the eye, and the attention of others. Ergonomic, and garment, bag, and activity friendly, dots can be affixed to just about anything. dots are shipped with a simple and effective cord loop to quickly and easily attach to a purse, backpack, or any other bag. Chicago designer Tim Fates founded dotUP after his nephew was diagnosed with SMA, a rare and often fatal genetic disease, and he lost his mother to breast cancer. Tim created dots and founded dotUP as a way to support organizations, communities, and individuals making a positive impact. For dotUP’s initial fundraising campaign Tim chose to partner with Bright Pink, a Chicago-based national breast and ovarian cancer non-profit that is taking a truly innovative approach to saving women’s lives. Tim is a graduate of SAIC’s Designed Objects program and lives in the Chicago area with his wife and two young daughters. dotUP is a Polsky Incubator alumni and mHUB member company.